When you are intensely focused on the fortunes of your own team, it is easy to view various circumstances as somehow particular to it. Take, for instance, injuries. The other day, I noted that the Canucks were/are hampered by a number of injuries on the blue line. By implication, I wanted to suggest that the Canucks could hardly be expected to win at the pace necessary to keep up the playoff chase when suffering from this misfortune. The problem with this, however, is the implicit assumption that the Canucks are somehow unique in this regard. The fact of the matter is, many teams suffer from injury troubles that presumably affect their competitiveness, especially at this time of the year. 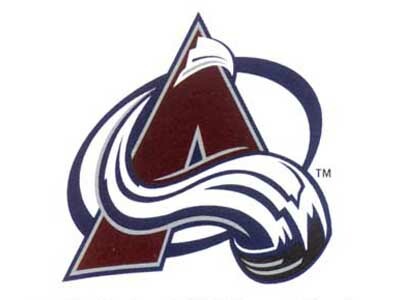 Consider, for example, tonight’s opponents: the Colorado Avalanche. For some time now, the Avs have been without their two best players (Joe Sakic and Ryan Smyth) and young star Paul Stastny. You might think this would spell doom for the Avs’ playoff aspirations, right? Wrong. The Avs have not only managed to tread water; they have been winning a lot of hockey games and now find themselves second in the Northwest division and sixth in the Western conference. The moral of the story: injuries or not, a good team must find ways to win hockey games in adverse conditions. The Canucks have not been doing a lot of this lately. Let’s hope Thursday’s win against Atlanta was a step in that direction, and that the Canucks defeat their Northwest rivals tonight on Hockey Day in Canada. Not to put too much stock in one game, but last night’s 4-3 victory over Colorado was a welcome reminder of how successful the Canucks can be when they stick to the game plan instituted last season by Alain Vigneault. For the first time since they racked off three victories in a week against Calgary and Edmonton at the beginning of the season, the Canucks looked difficult to beat against the Avalanche. They made plays, won a lot of battles for the puck, moved the puck well, and made few errors in play without the puck. That, and Roberto Luongo was back to his stellar self. Hopefully, a step in the right direction. What would John Garrett say? Don’t look now, but the Canucks are now 4-0 against Northwest division rivals. Considering the fact they will play 32 games against teams in their own division, this bodes well for the Canucks’ hopes of retaining the division title. I think 32-0 is an attainable expectation. Oh, and what do you know? Next up for the Canucks, Calgary. Hello, two game winning streak!